It started with a bag of fresh blossoms, and some just picked yellow and green zucchini. It became a beautiful bowl of pasta with blossoms, fresh basil and cream (thank you yet again my my favourite cookbook Pasta ). 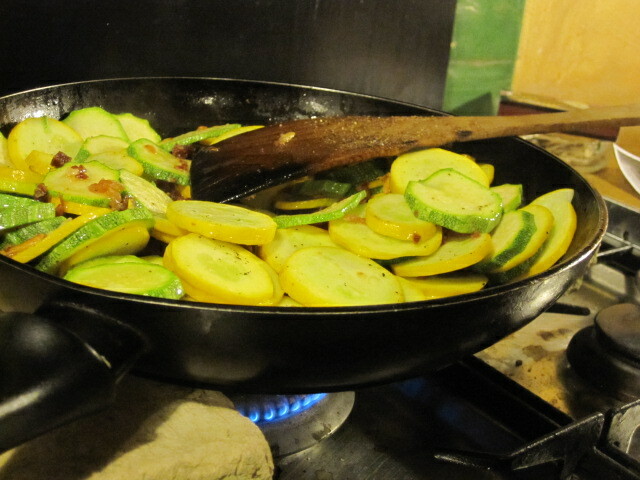 That holiday brought with it many beautiful meals, many of which figured zucchini as a main ingredient. We stuffed some with leftover risotto, we put leftovers in eggs for breakfast and we added it to at least two other pasta dishes. It was that easy. I was hooked. Since then I’ve been making up for lost time and have experimented with salads, “pad thai”, tarts and of course, other pastas. 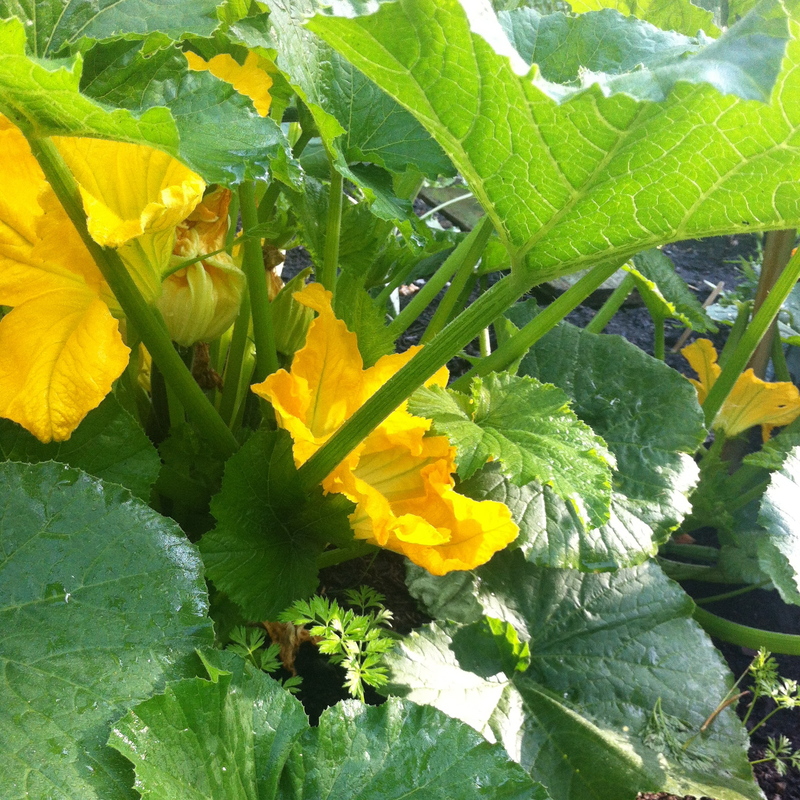 This summer I planted a full row of zucchini in the garden and I have a feeling next year I’ll add even more. I have lots of ideas for recipes but to celebrate my first crop I plan to go simple. Put some salted water on to boil. When boiling, add pasta of your choice (something curly that will grip the sauce works best). In the meantime saute some minced garlic and chopped sweet onion in a bit of olive oil. 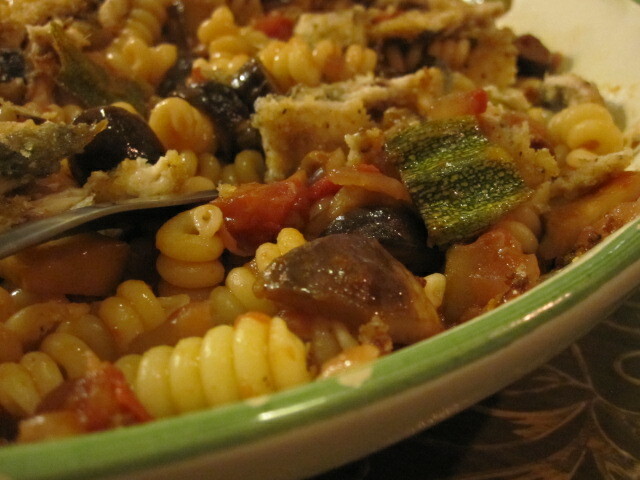 When soft, add some chopped zucchini, and tomato. Add a splash of white wine and cook gently until the noodles are cooked to your desired firmness. Drain the noodles, add the noodles and a tablespoon of the pasta water to the sauce. Add some goat cheese or freshly grated romano cheese and some freshly ground black pepper. Toss and serve. The best part about simple fresh from the garden (or farmers market) meals like this is that there are no rules. Toss in some fresh herbs, add some black olives or chopped eggplant, change the cheese, use quinoa or rice instead of pasta. With fresh seasonal vegetables you don’t need to embellish. You just need to enjoy. This entry was posted in Cooking, Food, Gardening, Herbs, Noodles!, Pasta, Recipe, Salad, Vegetables, Vegetarian and tagged cheese, garlic, herbs, olive oil, pasta, rissotto, zucchini by mostlynoodles. Bookmark the permalink. Good post – thanks! I like zucchini too. The stuff is agressive in the garden wow. Grows fast! I love it because it was the only vegetable I could grow. There is so much you can do with it but there was one bad incident in my early cooking days where I mistakenly boiled it…I don’t recommend this. 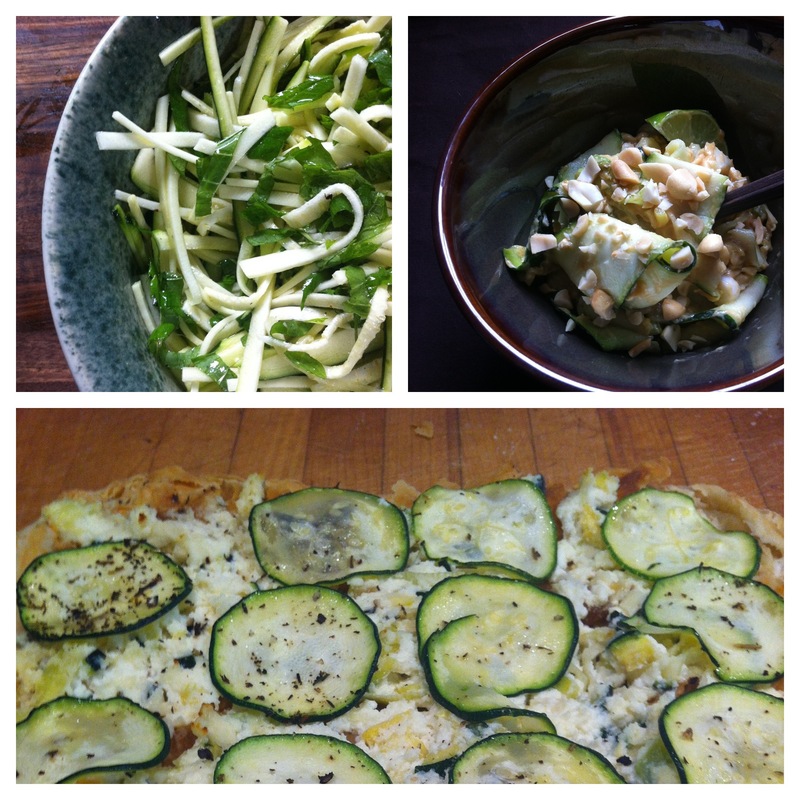 It is a constant battle…using all the zucchini that seems to arrive each summer. This looks like a good recipe to add to the mix. Thanks! !